Pretoria, 16 APRIL 2018 – A wide variety of Jaguar’s cats will come out to play in the King of the Hill competition at this year’s Jaguar Simola Hillclimb, with a driver lineup comprising first-time racers, Hillclimb regulars and a world champion motorsportsman. Heading the charge in the Supercars Class is Jaguar South Africa’s national aftersales manager, Dawie Olivier. 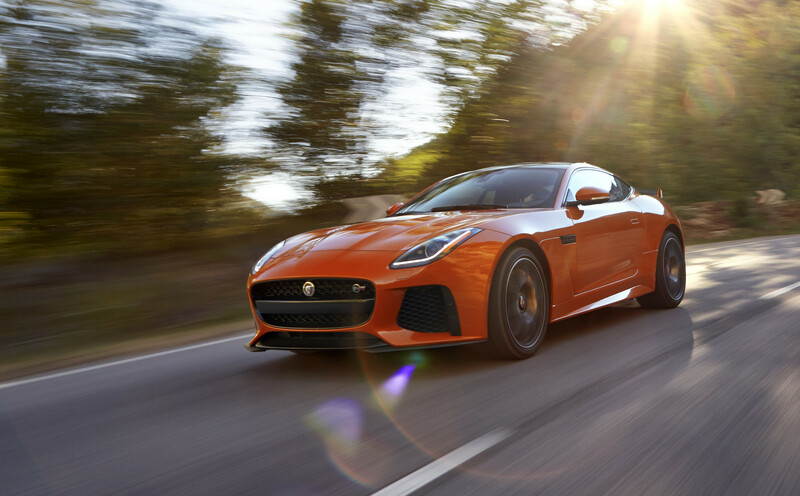 Dawie, who has competed in every Jaguar Simola Hillclimb, is entered in Class A7 for super- or turbocharged road-going cars with eight-cylinders or more, with a ferocious 423kW Jaguar F-TYPE SVR. Also in Class A7 is multiple racing champion Mark Cronje in Jaguar’s new performance flagship – the XJR 575. With a 5.0-litre supercharged V8 sending 423kW to the rear wheels through an eight-speed automatic transmission, and the ability to launch from 0-100km/h in 4.4 seconds, the XJR 575 is the fastest and most powerful version of the XJ sedan to date. A well-known name in motorsport, Mark Cronje’s resume boasts five South African national rally championships and two national Off-Road titles. Mark was also crowned Rotax Max World Karting world champion in 2002. 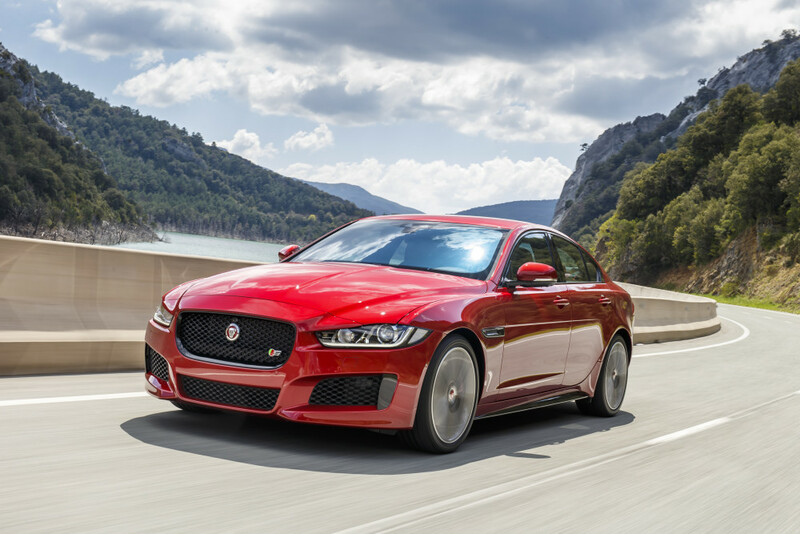 Another Jaguar sports sedan will be entered by Jaguar South Africa’s Regional Technical Manager, Derrick Dearlove, who will contest Class A3 for cars with blown six-cylinder engines in a 2018 model year Jaguar XE S. In its latest guise, the 3.0-litre supercharged V6 in the XE S has been upgraded from 250kW to 280kW. 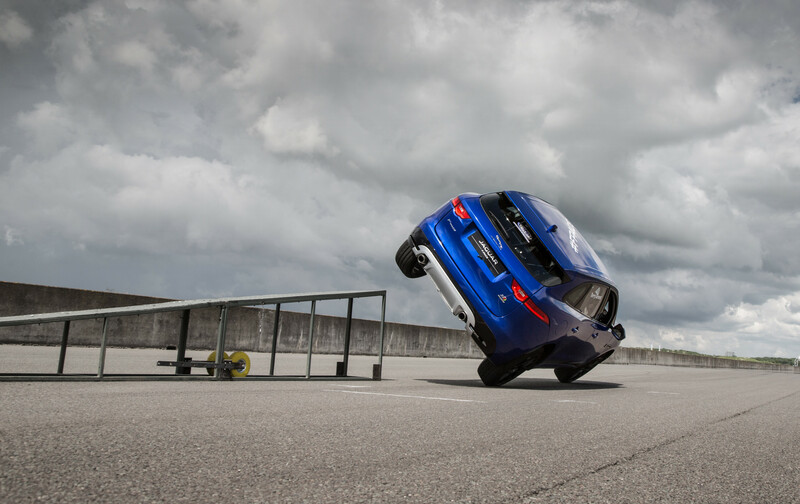 The rear-wheel drive XE S can launch from standstill to 100km/h in 5.0 seconds. Jaguar’s PACE family of SUVs will also be a highlight of this year’s event. 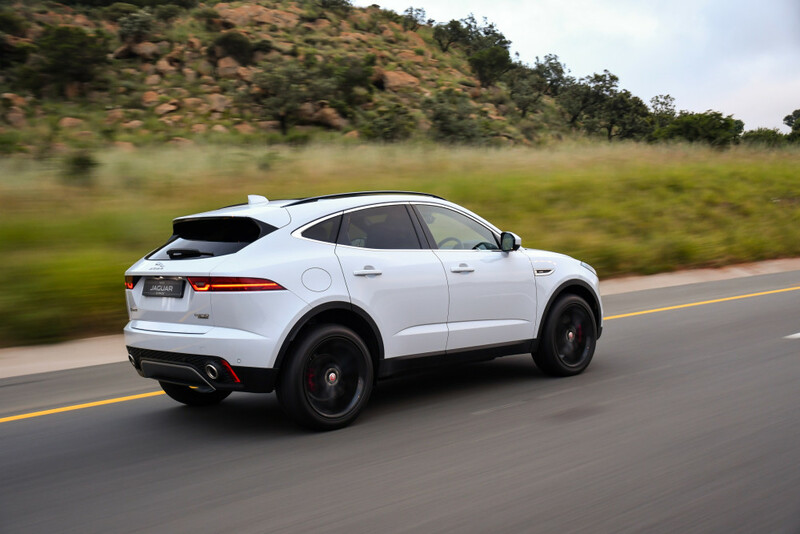 The recently-launched E-PACE compact SUV is set to be the first Jaguar SUV to compete at the Jaguar Simola Hillclimb, with popular South African videojournalist Ciro De Siena, from www.cars.co.za at the wheel. Ciro’s entry comes in the form of an E-PACE P300 with 221kW from its Ingenium petrol turbo engine, standard all-wheel drive and a nine-speed automatic transmission. Spectators can look forward to a stunning display of precision driving from world-famous stuntman Terry Grant. The multiple world record-holder will wow crowds by driving up the 1.9km Simola road on two wheels during intermissions, in the very same Jaguar F-PACE with which he completed the world’s highest loop-the-loop in a car (https://youtu.be/za7hdvKeHiE), at 19.08 metres in 2015. For the second year running, Jaguar South Africa has afforded two lucky customers the opportunity to drive their own vehicles in anger as competitors at the Jaguar Simola Hillclimb. As the winners of a customer experience day held at Kyalami exclusively for F-TYPE owners, Travis Briscoe and Jason Basterfield were the recipients of a prize money cannot buy: an all-expenses paid trip to compete at South Africa’s premier motorsport event. Both will pilot their own Jaguar F-TYPE S sports cars. BMW M8 GTE hits the streets of Long Beach.